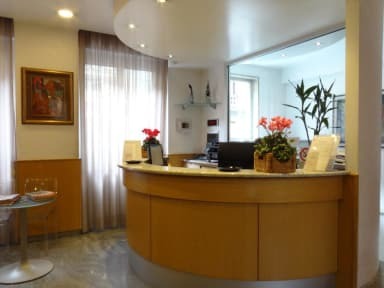 Hotel Parma is 900 m from the MiCo Fiera Milano City Congress Centre. Domodossola Metro Station is at 350 m away. The property is 12 km from the Expo 2015 Exhibition Centre. Sempione is a great choice for travellers interested in architecture, food and culture. Each room has air conditioning and features flat-screen TV, desk and a wardrobe. Check in from 14:00 to 10:00. 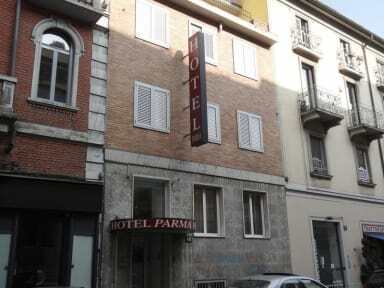 My boyfriend and I loved Hotel Parma! We stayed here for two nights. Very affordable and we really liked this neighbourhood for easy access to great restaurants and the metro. The room was very clean and included a veranda outdoors. The hotel staff were very friendly and reached out to us a couple days before we arrived to check what time we’d like to check in and they accommodated our early check in. At night the hotel was very quiet. The air conditioning works great as well! My only gripe is when I wanted them to hold my luggage, they left it out in the open, instead of putting it behind the reception desk, or somewhere secure.